Q: “While reading about and watching lomilomi videos I have come across comments from native Hawaiians saying that “White people are just taking native healing and making it their own.” Or, “Who is your kumu? You’re not Hawaiian.” So, the question is … I don’t want to offend anyone, should I not pursue learning lomilomi? My teachers always taught me to share from a certain place on our historical timeline. Before the earlier migrations and before western contact…more than 3,000 years ago, there were people living in the island in isolation. They lived in the middle of the Pacific Ocean, thousands of miles away from the nearest lands mass. I call this the Time of Harmony. Every person mattered. Each was a part of the Lei of the family. Each contributing to the whole and no one necessarily above anyone else. From the elders to the child, all held value. Over our Hawaiian history, different migrations that came that brought a warring culture to our islands. From Western contact, to Captain Cook, to the missionary time period, and eventually, all the way to the US occupation of the Hawaiian Kingdom. These migrations led to a breaking down of the spirit of the people here. Colonization brought a disconnect from the land. Industrial modernization brought people away from their communities and into the cities. Other Spiritual belief systems were enforced here and we weren’t allowed to practice our traditions in the way that we always had. 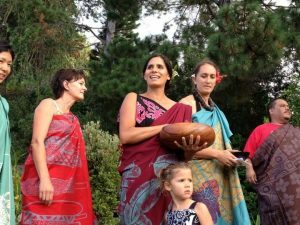 Hawaiians who have gone through these time periods are grasping for their identity. In an attempt to survive, some were taught an idea of separation that is not our true cultural nature. Sadly, this commentary points to the stifling of our culture and that disconnect that still remains here. But that’s just a few Hawaiians. There are many Hawaiians, including my teachers and many others, who are involved in the healing arts across the island. We were told and given the responsibility to share. Aunty Mahilani Poepoe, my primary kumu, teacher, was all about unconditional love and compassion. Comments about there being separation, white versus brown, is not in alignment with the teachings that I was given. Her vision was to see the arms of Aloha spread around the world. She knew that it would take more than just the Hawaiians to share this message, because we are very few on the planet as a race. Aunty Mahilani knew that it would take many people to carry the message of Aloha around the globe. She called them the children of the rainbow. In the process of activating the Children of the Rainbow, it was Aunty’s dream for Hawaiians to be inspired. We can take up the torch and begin to heal our own lineages and the stories we have of pain and suffering. If you are coming to learn this work with honor and respect. With the intention of sharing Aloha, you are the EXACT person that our kupuna, elders, has called. Come and support their vision of sending Aloha around the world. Even Aunty Margaret Machado said that she was willing to teach anyone with a Hawaiian heart. That was only forty years ago. Clearly, there are still remnants of that energetic today. I have even experienced it in my own family, where I’ve been questioned about whether or not it is appropriate to share spiritual things to non-Hawaiians. I can see that even within my family, we still have a lot of healing to do. When Aunty Margaret was ready to share with other Hawaiians, there weren’t that many coming to learn. So, she began to share the teaching openly with anyone who was willing to carry this work with honor and respect. Share. Especially the spiritual teaching of Lomi Lomi, Ho’oponopono, healing chants and prayer. Because that’s what the world needs. Our timeline and our history is the same history as every culture throughout the globe. What I am sharing is a model of healing with our Hawaiian teachings. We can inspire others to also look back into their own indigenous practices and ignite the flame of remembering. Each can heal their own family line and also be inspired to learn some of their own plant medicine. That’s what cross-cultural sharing is. That’s what our classes at Ho’omana are all about. We have a World Canoe. Every class of people from all colors of the rainbow. Aunty Mahi’s vision is coming true. 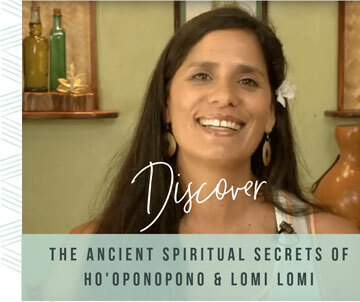 There was a type of secrecy in the past, to protect our culture, but now, the world is ready as a collective consciousness to receive Lomi Lomi and the Spiritual teachings of Aloha. People are asking and searching because they are ready. Have you ever felt a calling to learn Lomi Lomi? Is there something holding you back? I’d love to hear about it in the comments below. PS: I have a few more spots in our Spring Lomi Lomi Intensive coming up in April. I would love to see you on Maui!